Sign up for free. Explore our data dashboard. Discover our exclusive artist features. Upload your music. Add your artwork, and your lyrics. Make your music stand out. We work with the biggest music platforms on the planet, so you can reach millions of new fans worldwide. Stay connected. Know more. Grow bigger. Your Facebook, Twitter, Soundcloud and YouTube account updates, all in one place. Know your audience better, and watch your fanbase grow. See where your music’s taking you, with daily streaming figures and detailed sales reports. Find where your fans are, discover how they’re listening and which songs they love. We are part of Universal Music. And we’re here to discover new artists. We share your music on playlists and social media, to an audience of millions. Your new fanbase is waiting. And we put your songs in front of music industry professionals. The A&Rs and record scouts who can take you further. Universal have already signed 50 Spinnup artists. You made it. You keep it. You get 100% of your royalties and rights – no commission, no hidden costs. Get simple sales reports to see how much you’re earning, and where from. It’s your money – so you get full access to it. 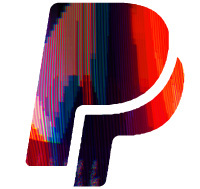 With one click, we’ll pay your earnings straight into your PayPal. Your music on the world’s biggest music platforms. Your tracks in the ears of Universal Music’s labels. Make music. See who’s listening. Get noticed. Join Spinnup – the distribution service built by industry experts, designed for artists. And go further.